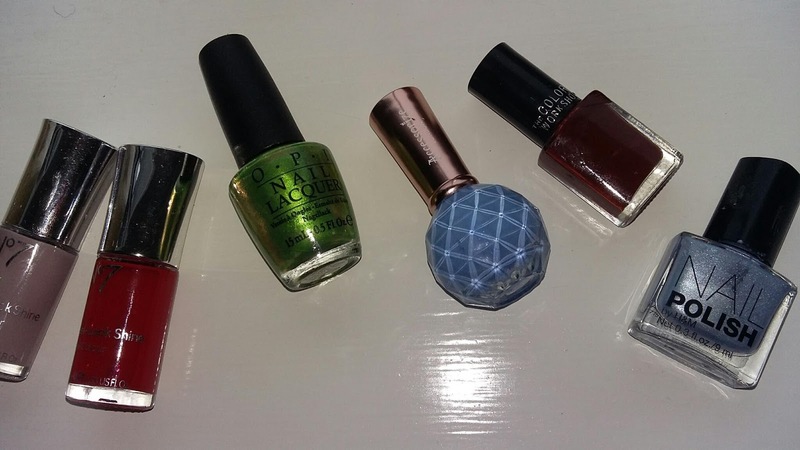 Nail Polish drives me crazy! I love having well-manicured nails in colours that reflect my mood at the time, but somehow they never dry quickly enough (or I'm too impatient) and my right hand gets ruined as I reach to grab something, write something, or eat something haha. In spite of the fact I know I will undoubtedly infuriate myself I still like to paint my nails or preferably get my natural nails done professionally. I would recommend Nails Inc. or a good local nail bar which I'm sure would be comparably inexpensive. Below are the colours and shades that have brightened up this ehh... questionable summer so far. From left to right: Boots (no name): ideal for a neutral work look, Boots (no name): I'm not usually a fan of red (some may call it orange?) but it can add a lovely summer pop of colour, O.P.I, My Gecko Does Tricks: fun, shimmery even sophisticated if I may say so myself but applies a little lighter on the nail, Accessorize, Sugar Blue: girly and playful, The Color Workshop (no name): adds a neutral warmth on the colder days of summer, H&M, Ice Baby: elongates the fingers and is neutral with an added touch of feminine sheen. It looks exactly the same tone on the nails and I have received a lot of compliments wearing it. 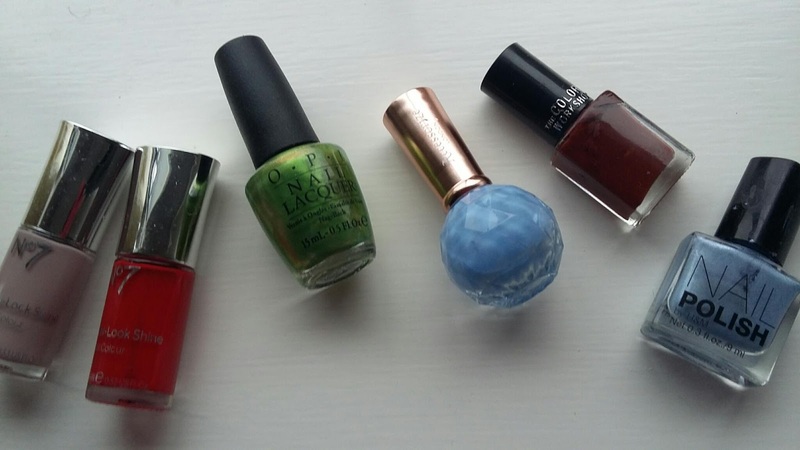 What are your favourite nail polishes at the mo? Do you like any of these?